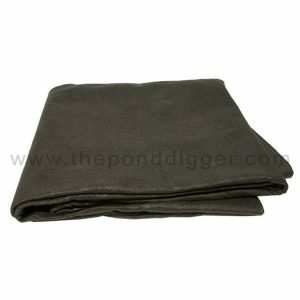 EPDM Pond Liner is extremely flexible and will conform easily to whatever shape pond your desire. There are many different pond liners to choose from but you should know that 45 mil EPDM is the standard for decorative fish ponds here in America. Unlike other pond liner choices, 45 Mil EPDM pond liner will not crack or blister when exposed to Ultra Violet rays from the sun. 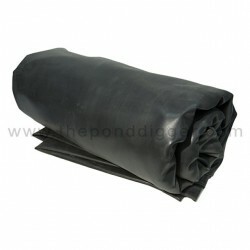 Our flexible rubber pond liners are stable in full sun, guaranteed for 20 years and have a life expectancy of 30 plus years even fully exposed to the sun! 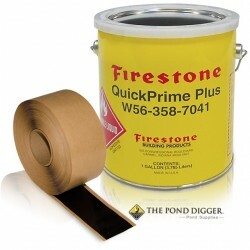 Additionally, we offer a thick high quality protective underlayment for use under the pond liner for protection from rocks, debris and roots. It’s so affordable it makes no sense to try and use sand, newspaper or old smelly carpet anymore!